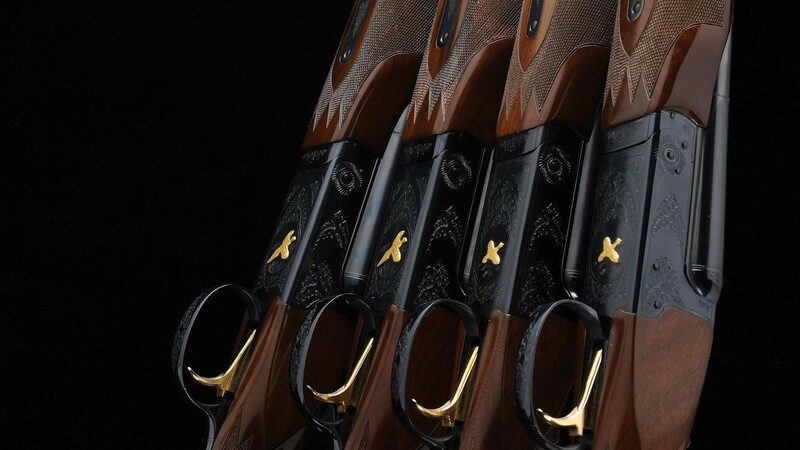 Keen to invest in your own sporting gun but not sure where to start? Auctioneer and Sotheby’s consultant Gavin Gardiner reveals the five key things that you should consider before buying one. 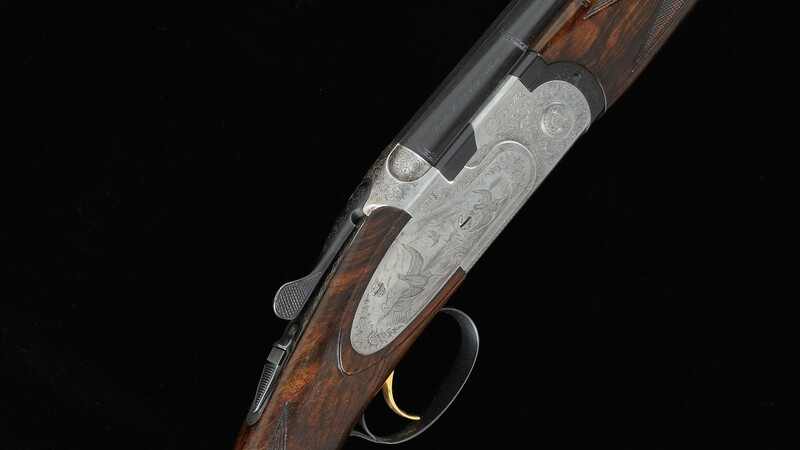 The barrel configuration of a sporting shotgun can be more important than you imagine. 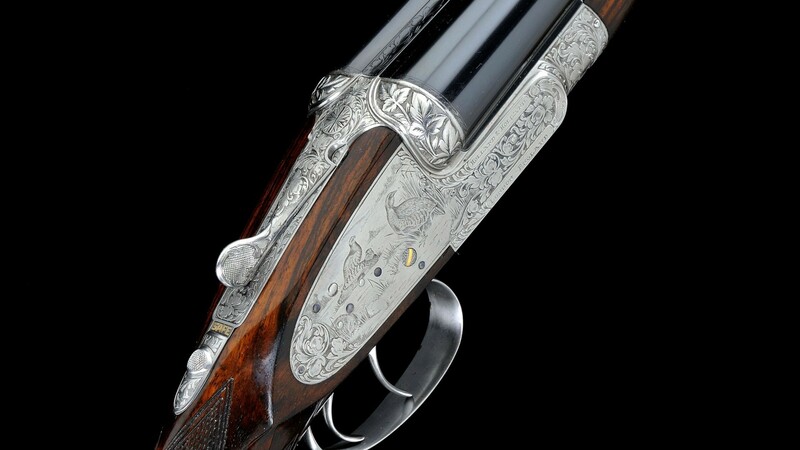 Most guns were built along traditional lines with one barrel side by side with the other, and until the 1980s this was by far the most popular configuration. The rise in popularity of clay pigeon shooting, where this barrel configuration had been most popular, and a new generation of inexpensive guns of overseas manufacture changed the market forever. If you are going to be shooting mainly clay pigeons, then a modern over-and-under gun by a maker such as Browning or Beretta is likely to be your first choice. If, however, most of your shooting is going to be game shooting, then the traditional side-by-side shotgun still has strong advantages. This is a description of the action type, and ultimately complexity of the mechanism. 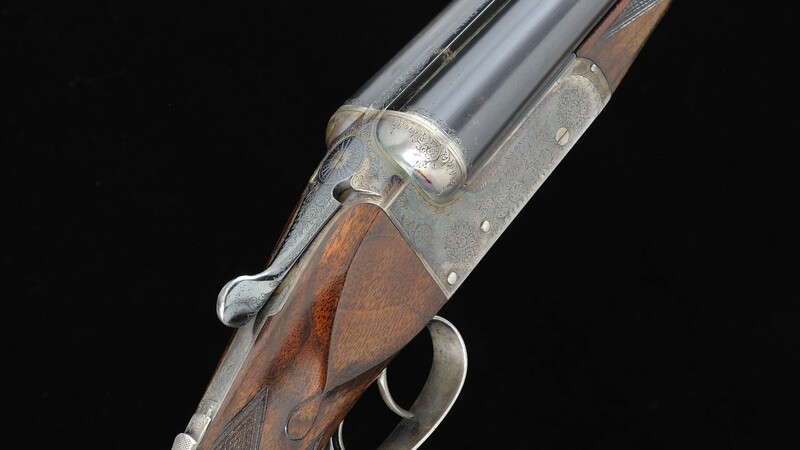 The boxlock was introduced in the 1870s and offered many advantages over the sidelock that it sought to replace. It was far easier and cheaper to manufacture, with fewer working parts, and offered greater reliability and simpler maintenance as a result. The sidelock is a more complex mechanism that ultimately descends from earlier generations of gun where the mechanism was contained on detachable ‘locks’. 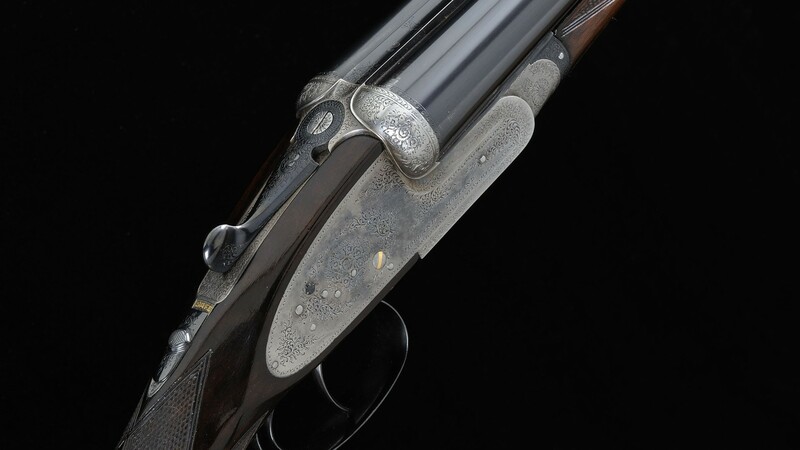 The sidelock has the advantage of producing a more graceful and elegant gun. The boxlock is relatively inexpensive in comparison but can suffer from plainer and less-refined qualities. The stock of all sporting guns will be made from walnut, a wood that has many qualities that make it eminently suitable for gun stocks. It is a very stable wood that is sufficiently hard to be long lasting, light in weight, fine grained, and easy to work with hand tools, and also – in the best varieties – can possess an attractiveness of figure and grain that is very appealing to the eye. Most side-by-side guns will have a straight hand, while most over-and-under guns will have a pistol grip. It is important to try both and see what you feel most comfortable with. Most side-by-side game guns will have double. The front trigger fires the right barrel and the back trigger fires the left – you will move your trigger finger from the front to the back trigger as you mount the gun for the second shot. This combination gives you 100% reliability. Simple is often best. Most over-and-under guns will have a single trigger, that is just one trigger that you will pull to fire the first barrel, and then pull again to fire the second barrel. Generally speaking, the most popular length for a pair of barrels is between 28 and 30 inches. This length gives the best compromise and all-round handling in the majority of situations. Short barrels (25 to 27 inches) will give you a faster-moving gun that will allow you to respond very quickly to fast-crossing birds but may hinder your shooting at overhead targets. Long barrels (over 30 inches) can have the opposite effect. My advice is to stick to a standard length and practice, because essentially it makes little or no difference for the majority of shots. At the end of the day, have a good look at everything, ask questions and listen to advice. 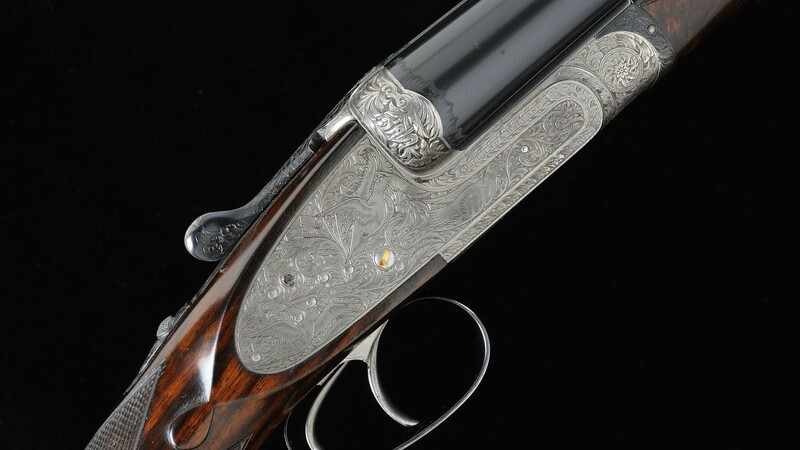 The very best way to see and handle a lot of classic sporting guns in one place is it to attend the viewing day of a sporting gun auction. You will be able to handle and compare guns of all qualities and price ranges and really get a feel for what you get for your money.